So it’s been a while since I posted a blog about my larger travels and I promised a year in review. Earlier this year, following my trip to Congregatus Australis, I made my way to Rowany Festival. I used Congregatus as an experiment on my own personal limits, and after self medicating with probably slightly too much scotch, I realized I couldn’t work at Rowany festival without better painkillers. I’d been avoiding it for as long as I could, but I’m at the stage of my life and chronic pain now where if I want to be functional more than 48 hours in any significant way, I need better painkillers. I served on the Stewarding team once again and drove over to festival with Duchess Mari, stopping for the night an hour out of site with some lovely hosts in the craziest house. It probably deserves an episode on one of those house TV shows. In the first night of setup, I lost my tent due to 90 km winds and ended up in dorms the rest of the event. This wasn’t a large hardship as the dorms were better quality than I expected. During my time at festival I got to catch up with a number of old friends and make some new ones. I also got to see a friend during his vigil, have a part serious, part joking discussion and then got to see him elevated as a MoD. That was one of the main highlights of my festival. 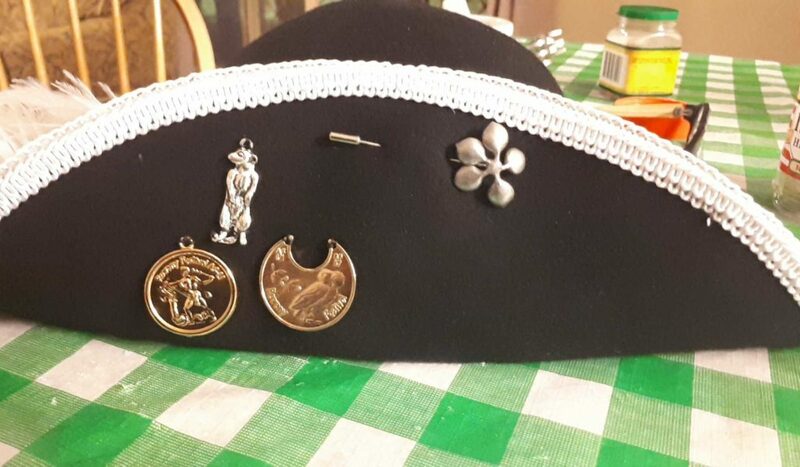 Rowany inducted me into the Order of the Silver Cinquefoil for the second year in a row, I returned the token after court as I still have the hat pin I got the year before. There was discussion if I turn in enough of them I can get made a Rowany citizen, but every time I ask the answer seems to be “at least one more”. Festival was hard for me in some ways, I came face to face with a bunch of personal criticism I hadn’t heard before and I’ll admit, having a pile of it at once hit me like a truck. It’s taken me time to process this all, and I may make another blog post about it, but in the short form I was surprised and upset – some of the comments I can see are valid, some I think are radically delusional – but I began the process of thinking more about perceptions and how my words and actions come across to other people, especially people who don’t know me well, and it’s been a worthwhile exercise. At the end of the event, I was given a gold token by the Stewards for the second year in a row, as you can see pictured above with a silver meerkat household token and my silver cinquefoil hat pin. This blew me away as I didn’t expect it, but it now sits proudly on my fancy hat (not my working straw one) and I love wearing it around. Following the adventures of festival and after a slight recovery, I traveled to Krae Glas for their Day of Honour. 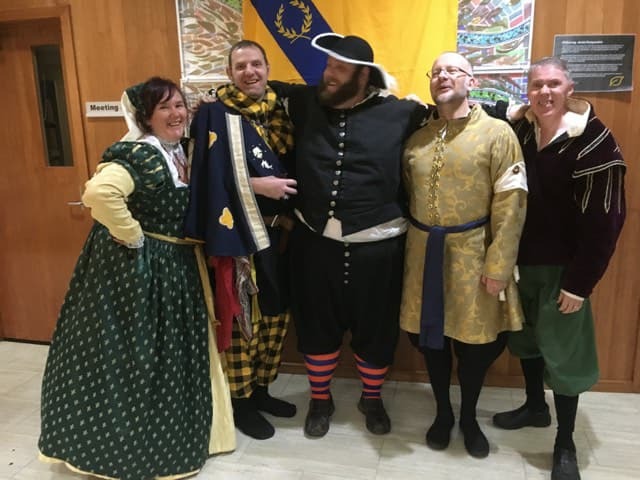 I got the opportunity to stay with some good friends and to participate in their Rapier Championship without contesting the title. I would be glad to be Rapier Champion, but I can’t justify doing the job to my level with the distance involved. 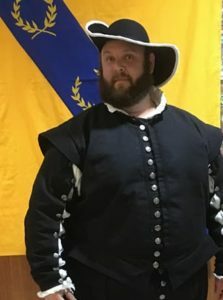 I got to catch up with a number of great people, provided and received some private rapier tutoring and all in all had a relaxing holiday weekend. Following my weekend in Krae Glas, I got home, turned around and went to Politarchopolis for their Tournament of the Black Boar / Feast of the Griffin event. I again, got to stay with some great friends, didn’t get up to too much mischief, and had a great time at the event. My fighting at this event wasn’t where I wanted it to be, I should have warmed up before the tournament proper, but I still had an enjoyable time assisting with marshalling and then enjoying the feast. I got to see an excellent peerage ceremony for a very awesome dude and spent my evening catching up with friends and encouraging people to drink. It seems to be one of my A&S pursuits at the moment – how many ways are there to encourage drinking at an event? Next up is Inter College War and Midwinter, but they deserve a part 2 post. Stay tuned.